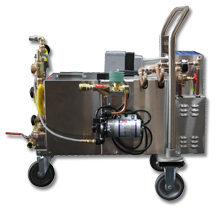 Sterilizing is a vital step in eliminating the bottling line of unwanted organisms & bacteria. Steam sterilization is effective and environmentally-friendly since it reduces energy and water usage and can reach a higher temperature than water, 212 degrees vs. water 180, and delivers heat rapidly through condensation. 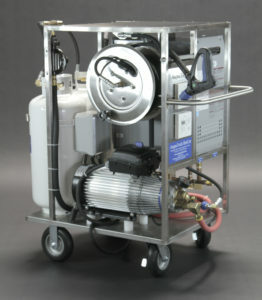 Our electric steam generators make an ideal steam cleaner. They are small and require no venting. 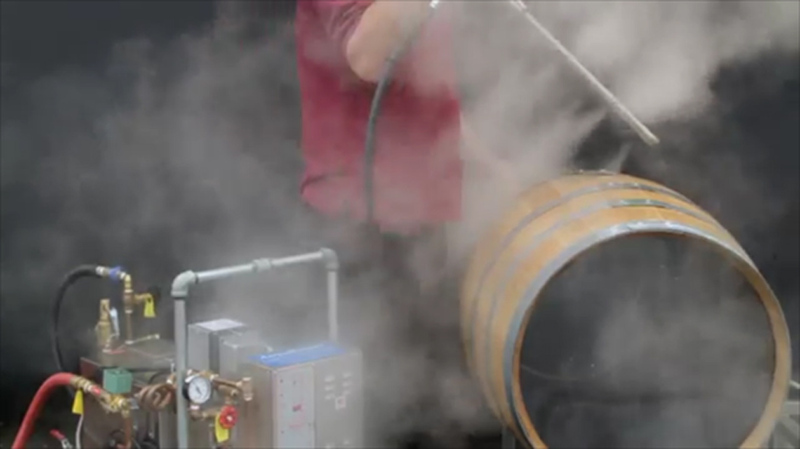 High pressure, dry steam is discharged directly into a steam hose and wand for a quick, efficient operation. The saturated steam from our generators can be controlled as to pressure, which will vary the temperature and BTU transfer of the steam. We offer a variety of models from 1.5 to 500 kW to match any steam application. The AaquaSteam’s pump maintains solid water pressure at 60-80 psi, and includes an automatic on/off solenoid valve to control water flow. Although most of the machine is automatically controlled there are still plenty of manual safety precautions, including a safety valve pressure release, safety valve for the level indicator, water cut off valve, pressure gauge and it’s isolation valve, as well as the steam blow-off valve.